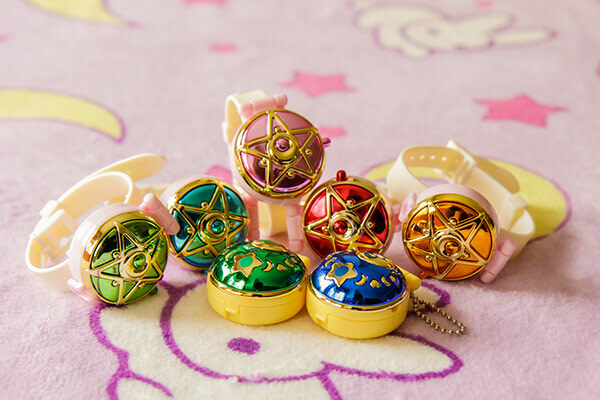 The shinies are here!! 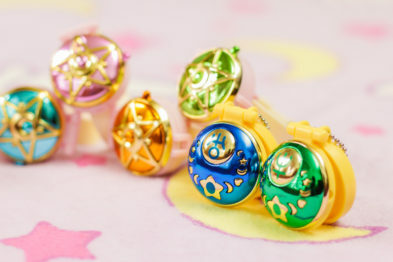 :D Look how pretty they are! 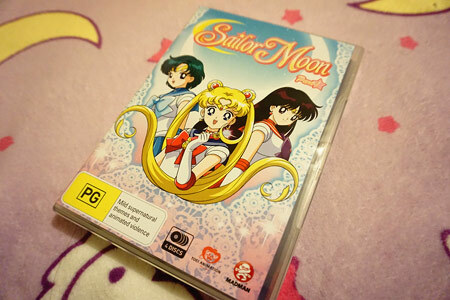 About a week ago I received my copy of Sailor Moon R Part 2 on DVD (AU/NZ Madman release)! 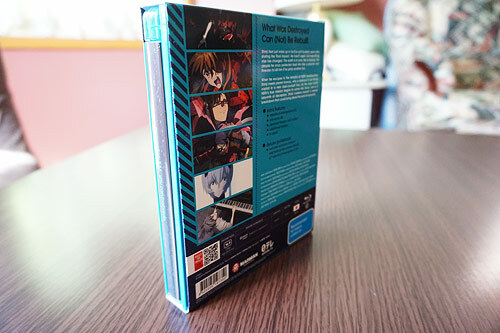 This is the 4th volume of the series and contains 21 episodes. 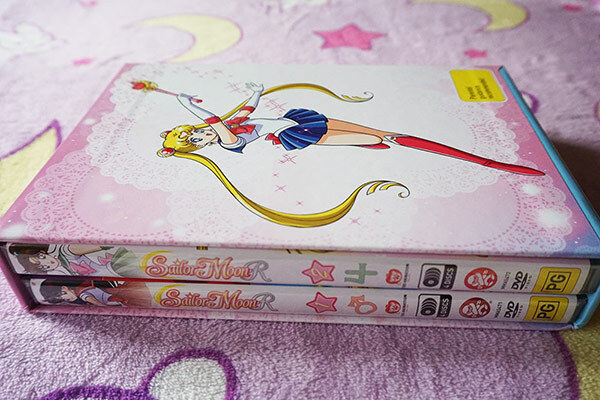 Sailor Moon R Part 2 is where it starts to get really good…and oh my the feels. I really enjoy just sitting down and watching the show. 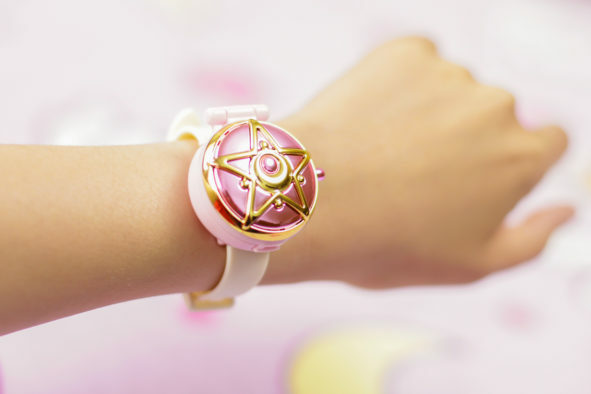 You might think it’s simply a case of nostalgia, but I’d like to think the charm and appeal of Sailor Moon is timeless. 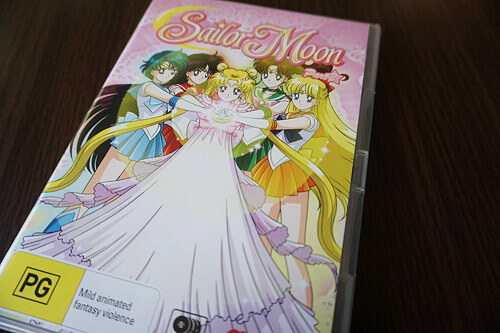 While this isn’t a Bluray disc, I never thought the video quality was poor, or outdated. For a show that’s made in the 90s, these remasters are great. 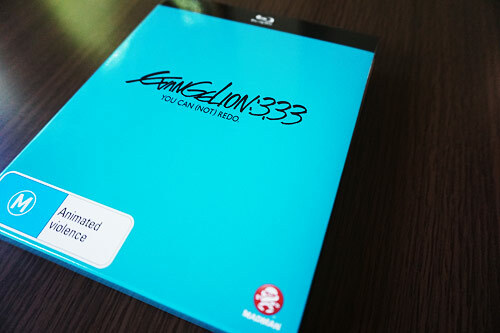 The limited edition copy comes in a nifty collector’s box, big enough to fit the 2 DVDs from this season. 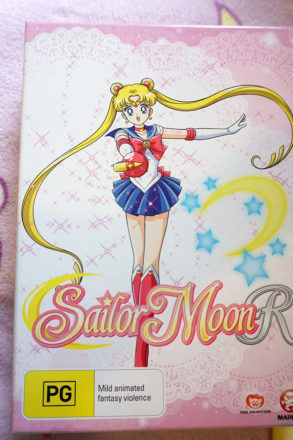 It also includes an illustrated booklet, which I looooove! 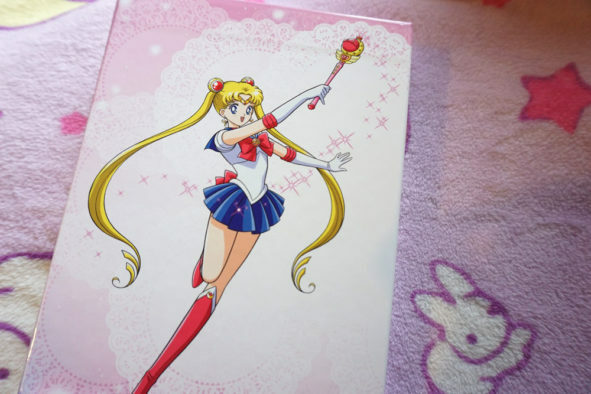 You’ll find plenty of gorgeous artwork by Italian artist Marco Albiero, who redrew a lot of the old 90s anime art which is featured on a lot of GE merchandise. Everything is visually appealing from the choice of colours, to the art and design. No complaints, really. 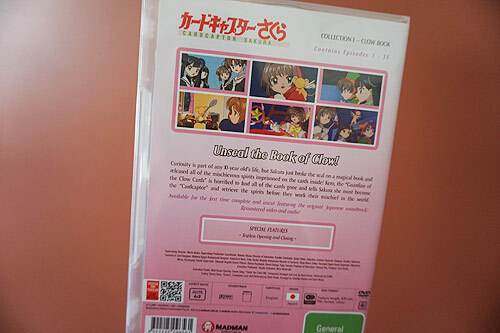 The final movie “The Sealed Card” is the ultimate finale to the Cardcaptor Sakura anime. It takes place 4 months after the end of episode 70 and it heavily focuses on this pairing. 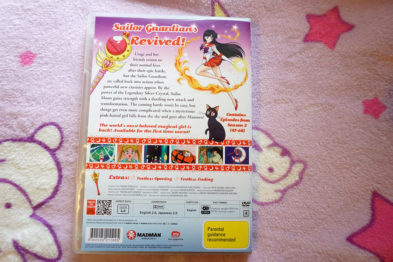 This is a brilliant movie for all Cardcaptor Sakura fans, but if you want Sakura and Syaoran to get together, you will love this movie! 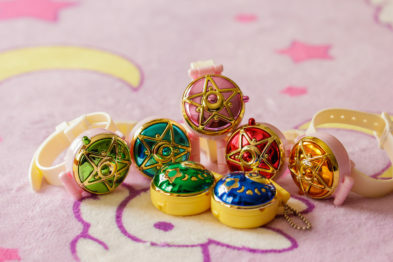 Catch You Catch Me watching Cardcaptors! 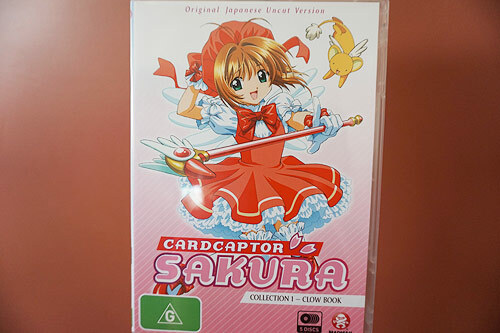 Cardcaptor Sakura follows the story of a cheerful girl named Sakura Kinomoto, a ten-year-old fourth grader who lives with her father and older brother Toya. 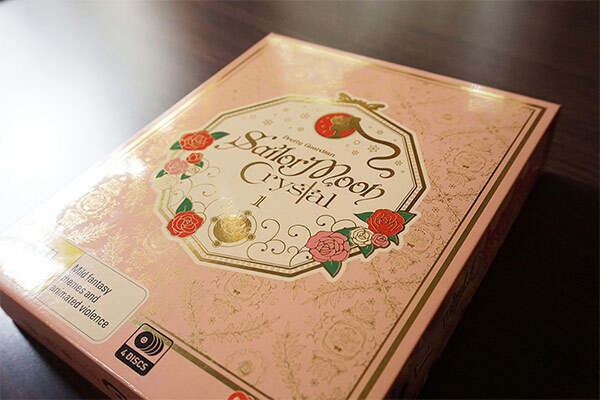 One day, Sakura accidentally releases a set of magical cards known as ‘Clow Cards’ from a mysterious book found in her basement. These cards were created by a sorcerer named Clow Reed and contain spirits with unique magical abilities. Cerberus, the Guardian of the Cards emerges from the book and chooses Sakura to retrieve the missing cards. 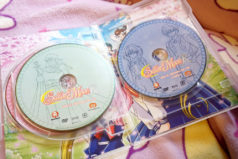 The first 20 or so episodes mostly revolve around Sakura collecting the Clow Cards, with the overarching plot picking up its pace in Season 2. 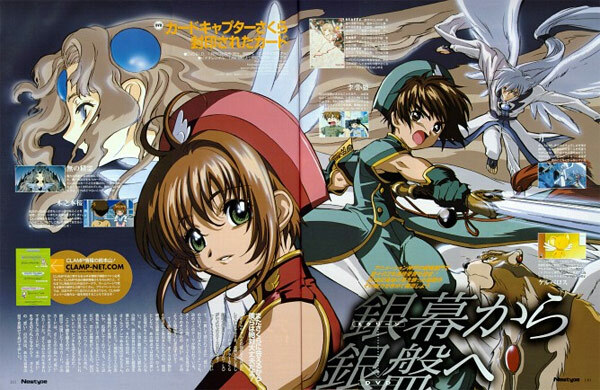 The show has plenty of humour, action and LOTS OF CUTEEEE (I’m a huge sucker for the romance ~Syaoran-kun <3). 10+ years later and I’m re-watching the show again. 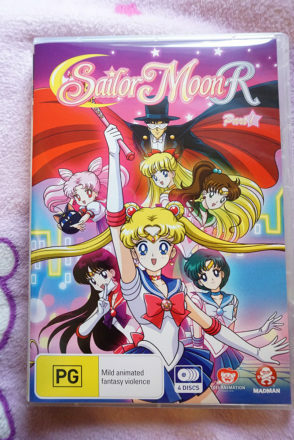 This time around, I’m forcing getting Hubby to watch it with me ;D He doesn’t know anything about this show, so you can imagine me peeking at him every few seconds to see his reaction ;D So far so good..we’re up to episode 7! The English version that I grew up watching was censored and cut. 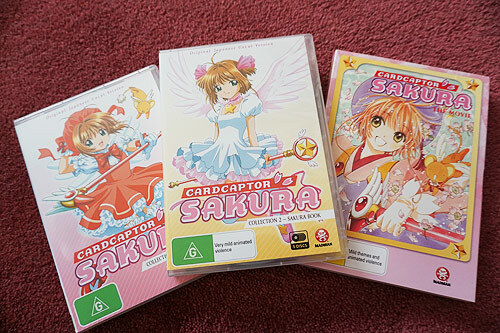 Here’s the Cardcaptor Sakura collection, remastered, uncut and provided in original Japanese audio with English subtitles. Sweet! 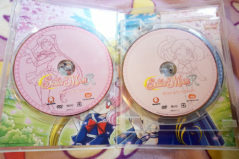 Cardcaptor Sakura Collection 1: Clow Book. I LOVE THIS ART! 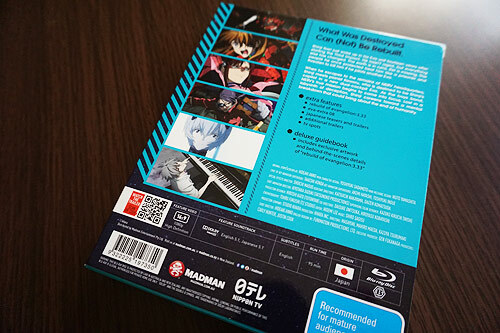 The DVD’s only special features are the textless opening and closing songs. It would be really nice if there were other bonuses included. 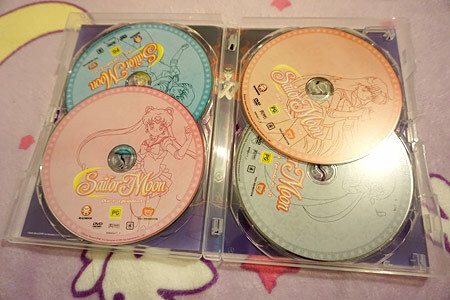 Sailor Moon Season 1 DVD is complete! Part 2 is out! Well, it’s here guys! 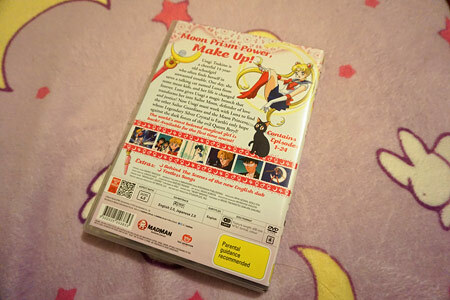 Madman released Sailor Moon Season 1 Part 2 DVD last week, which marks the completion of the first season – YESSS! 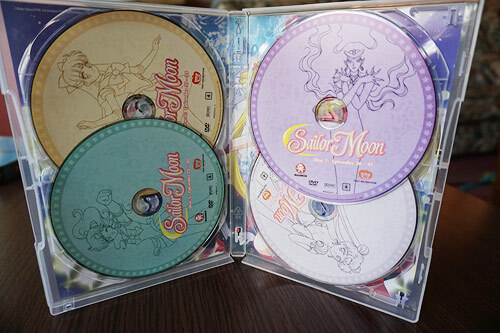 Click here for a closer look at Sailor Moon Season 1 Part 1 DVD. Beautiful choice in cover art. THIS LOOKS AMAZING. Look at all the pink and shinies! 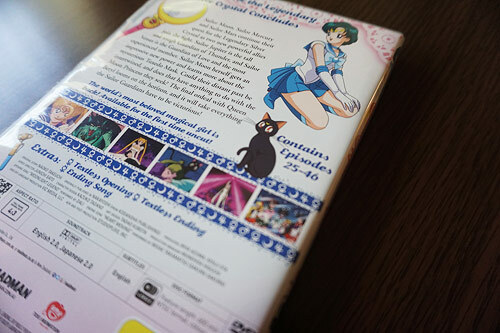 This DVD contains 22 episodes, from ep 25-46. 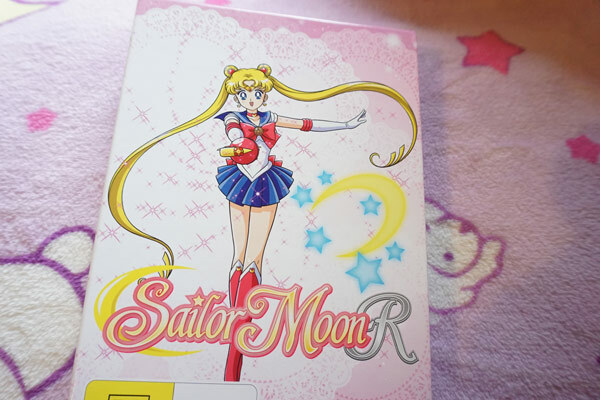 This volume actually excites me a lot more than the first one, because the story really starts to pick up its pace once the fourth Sailor Soldier is introduced- Kino Makoto/Sailor Jupiter. AND SHE COMES IN RIGHT OFF THE BAT at episode 25. 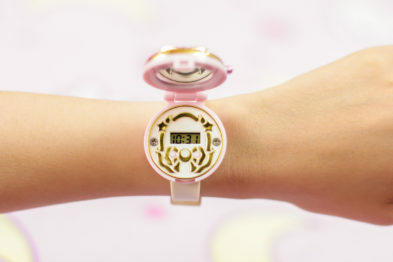 And of course, we also get the introduction of Sailor Venus. 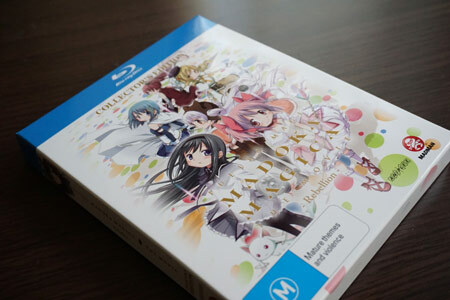 After seeing the first two Madoka movies late last year, I was curious to see what would happen in it’s third and final movie: Rebellion. I thought the ending of the second movie wrapped up nicely, and had a sense of completion. Luckily, the third movie didn’t feel like it was made for the sake of continuing, but genuinely had some new concepts to explore. And frankly, seeing as the first two movies were simply a rehash of the animated TV series, I’m sure fans would appreciate the new content. The animation and art look stunning as usual (It has some majestic action scenes *_*). However, the ending has left me with rather mixed feelings. It has one of those confusing Evanglion-type finales, where you’re left wondering “What just happened?” I mean it kinnnnnd of makes sense, but I don’t know if its for the better or worse. It changes your whole perception of a character you thought you knew and loved. HAH. I hope that wasn’t too spoiler-ish. 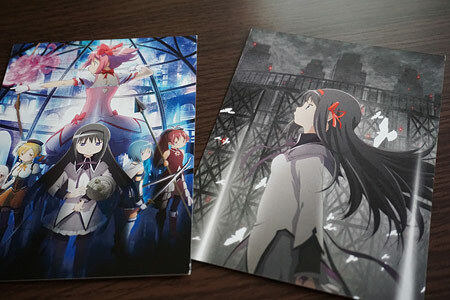 In case you’re wondering about the ‘Monogatari Series x Madoka’ manner videos- these are a series of short animations that were screened in Japan cinemas before the movie started. They basically teach the audience movie etiquette, like not using your phone, talking, smoking, recording or spoiling the story for others. 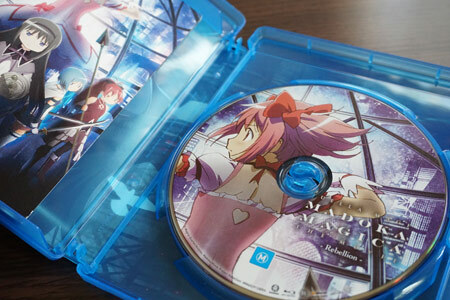 It is pretty cute ;D Monogatari and Madoka are both produced by Shaft, which probably explains the cross-over.